Arroz con Fideos is white rice cooked with noodles. Now I know what you’re thinking– that’s starch with starch! And yes, it is but it is absolutely delicious! It’s definitely one of those dishes that you can’t knock until you try it. 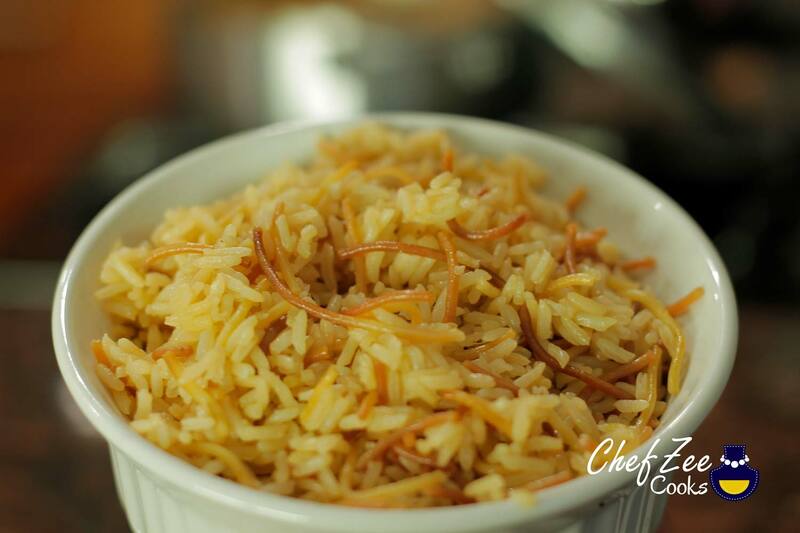 In fact, Arroz con Fideos is a wildly popular dish in many Latin American countries, but more importantly it’s also a popular Turkish-Middle Eastern Rice Dish. One of my favorite parts about Dominican cuisine is that we have Lebanese influences all throughout our favorite national dishes. Take Quipes for example. They’re actually Kibbeh balls that we’ve adopted as our own and even added our own sazón. Mind blown yet? Arroz con Fideos is no different. This easy to make rice is truly a comfort dish. It’s a rice dish that’s not nearly as popular as Moro de Guandules or Moro de Habichuelas, but it still makes one feel right at home. It’s also a rice dish that kids seem to love! My guess is that it’s great alternative for kids who are a bit picky when it comes to eating rice. When my sister was younger, I used to make her this dish with Pollo Guisado or Empanizado (Breaded Chicken) on the side. She’d go crazy every time I’d tell her that I was whipping this up. Now unlike pasta, you don’t have to actually boil the noodles before adding them to the rice. In fact, we’re actually going to crisp them up ever so slightly so that we get a nice brownish color. That color is characteristic of this awesome dish. Once we’ve browned the noodles, we’re then going to add the rice and mix them together. In the end, we’ll add the water and together they’ll steam until they’re all done. You’ll notice that even though we didn’t boil the noodles as we traditionally do for pasta, we still end up with noodles that are perfectly soft and ready to eat. They also won’t be terribly soft or mushy. In order to that, you’d have to add an obscene amount of water. No worries, I’ll walk you through every step! 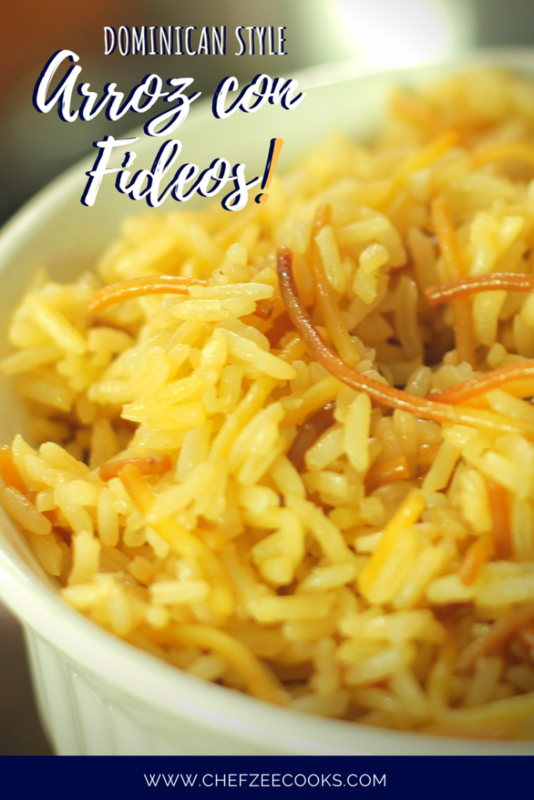 If you’d like to see a step-by-step video on How to Make Arroz con Fideos, visit my YouTube Channel: Chef Zee Cooks. Don’t forget to Pin this yumminess to your Pinterest boards! If you'd like to make this dish truly vegan, substitute sopita/chicken bouillon cube for your favorite seasoning salt or adobo. Buen provecho!